Sony Ericsson is trying their hand at the whole countdown teasing, but they haven't got it right quite yet. The mysterious device hiding in the dark is quickly revealed to be an XEPRIA, maybe an XPERIA X10. Update: It looks like that 13 hour timer timed-out early. And yes, the "mysterious" device was in fact the Sony Ericsson XPERIA X10. 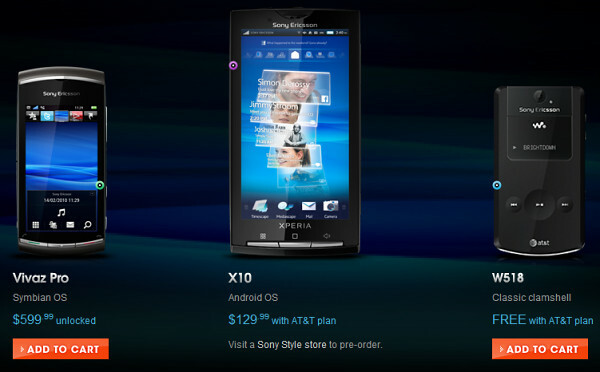 It will be available for pre-order shortly (the page isn't available yet) - with an AT&T contract, the XPERIA X10 will cost 129.99 US dollars. The XPERIA X10 will launch on August 15. Here it is on the AT&T site, though they didn't breathe a word about an OS upgrade so it's 1.6 Donut. If you copy the teaser photo into a photo editing program and fiddle with the brightness setting you'll get the result bellow. And putting it next to photos of the Sony Ericsson XPERIA X10, there are too many similarities to be ignored - the silver strip design, the camera/LED/logo arrangement. But is it a new XPERIA albeit with the same design? 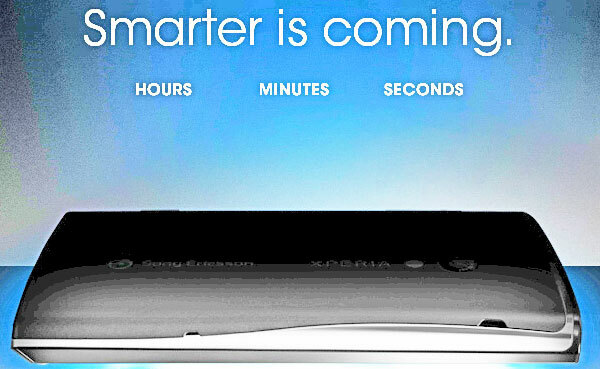 We wouldn't bet on it - the "Smarter is coming" tagline sounds like a hint at an Eclair update for the current XPERIA X10 to us. Sony Ericsson has been promising an update to Android 2.1 Eclair but it was scheduled for Q4. The update is pretty big - it gets you not just Eclair but 720p video recording too, along with DLNA and updates to Timescape and Mediascape. Could Sony Ericsson really be ahead of schedule? We'll know for sure in about 13 hours so stay tuned. It is the X8 - budget version of the X10. Played around with it a few weeks back. Looks quite good. Acutally the update has just been announced even though I don't know WHEN it will be.